This easy cottage cheese cookies recipe is easy to make and does not require a lot of time to make. Also, these delicious cottage cheese cookies can be served warm with heavy cream to dip in for breakfast. They are also excellent with some creamy grass-fed raw milk. How much sugar to use? Are these cottage cheese cookies too sugary? 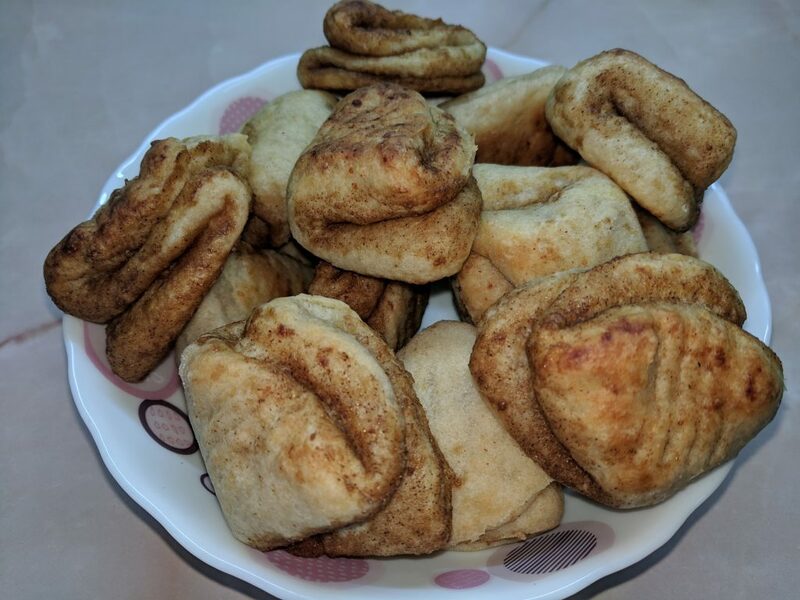 I like making these cottage cheese cookies because you really don’t need much sugar to make them and they still taste delicious. You don’t need much sugar to make them taste good because you don’t add sugar to the dough, you only dip the cookie surface to sugar so you can control how much sugar gets into each cookie. 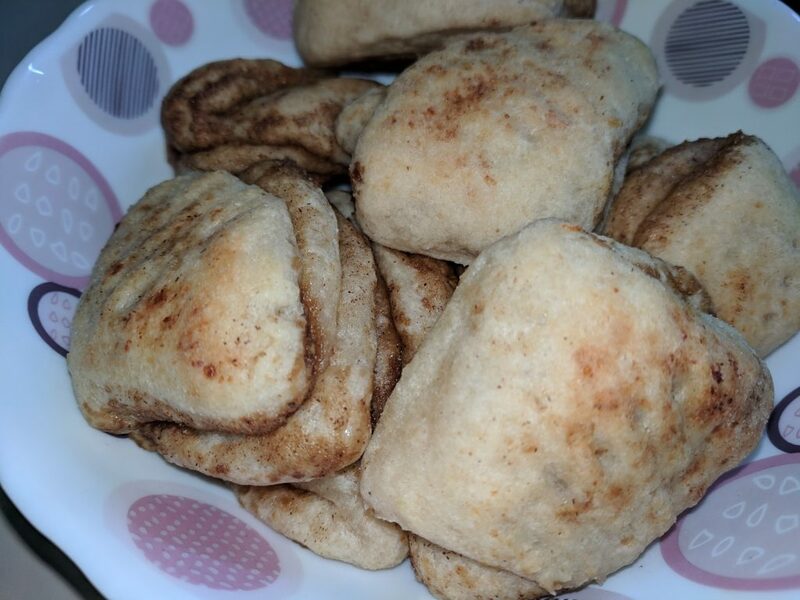 I used coconut sugar mixed with ceylon cinnamon to make these cottage cheese cookies. Soft butter vs cold butter – does it matter when making these cottage cheese cookies? You can use softened butter or cold butter right of the fridge to make these cottage cheese cookies. The cookies will taste the same but the method of preparing them will be different. When you use softened butter, you mix up the dough faster but you will need to place the dough in the fridge so it hardens. This is good if you are not intending to bake these cookies immediately. When you use hard cold butter, you will have to use a shredder or a food processor to make a buttery flour to make a dough. It can be little messy, but you will be able to bake the cookies immediately without needing to place the dough into fridge. *When you use softened butter, you mix up the dough faster but you will need to place the dough in the fridge so it hardens. This is good if you are not intending to bake these cookies immediately. Put cottage cheese in a bowl. Add vanilla extract, if using. Mix baking soda and apple cider vinegar in a bigger spoon or in a small cup. The mixture will get foamy. Add this foamy mixture to the cottage cheese and mix immediately. Add softened (room temperature) butter or ghee and mix. Add flour and form a dough. Place the dough into a refrigerator for 1 1/2 hours. Mix coconut sugar and ceylon cinnamon in a deep plate. Set aside. Roll the dough until about 1/4 inches thick. Cut circles using a cup or a cookie cutter. Get one cut circle and dip one side of the circle into the sugar mixture in a plate. Fold the circle in half. Dip one side of the half into sugar and fold again. Transfer to a baking sheet lined with parchment paper. Continue with other circles. Get a fork and lightly press on each cookie. Bake the cottage cheese cookies until lightly browned, about 15 minutes. Put the flour in a bowl and shred the butter using a manual shredder with big teeth. Dip the butter in the flour and shred. Then dip again and continue shredding. Mix the shredded butter with flour gently to make a crumbly mixture as you continue shredding the butter. Alternatively, you can use a food processor to prepare the crumbly flour. Place the flour in a food processor bowl. Chop the butter and add it into a food processor bowl. Pulse until you get a crumbly mixture. Be careful not to over process. You need a crumbly mixture, not a sticky gooey one. Add the crumbly flour and form a dough. Enjoy your cottage cheese cookies with tea, coffee, or a cup of milk. You can serve them with a heavy cream.